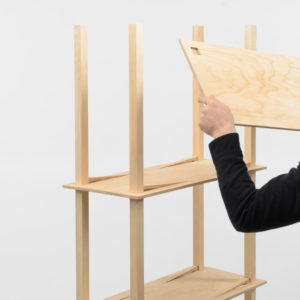 shelf boards. 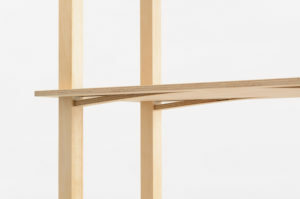 By inserting the prop into the slit hole of the shelf board, the slit part is pushed out by the prop which pictures a beautiful arch, and the shelf board get fixed by its elasticity. 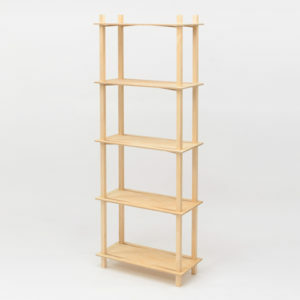 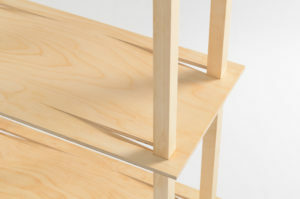 The props are just rectangular lumbers, and the height of shelf boards can be changed to at any position.